Over on CrowdSupply LimeMicro are currently preparing to crowdfund their next project called 'LimeRFE'. LimeRFE is an RF front end power amplifier with filtering. 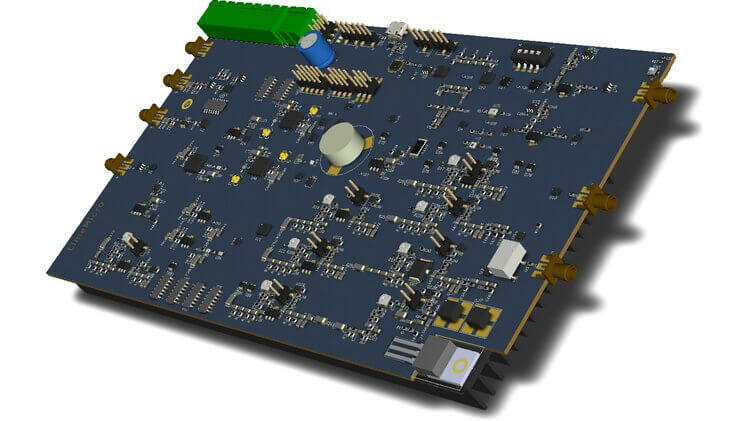 It is designed to be used in conjunction with a LimeSDR or LimeSDR Mini. The LimeSDR and LimeSDR Mini are 12-bit TX and RX capable SDRs that were crowdfunded in the past. The LimeSDRs appear to be mostly aimed at cellular/industrial/commercial use cases, but there have been efforts (mostly from Marty Wittrock) to make the LimeSDR useful for ham radio. For ham radio usage the LimeRFE front end module contains band filters for the HF band (1.6 - 30 MHz), the 2m band (144 - 146 MHz), the 70cm band (430 - 440 MHz), the 23cm band (1240 - 1325 MHz), the 13cm band (2300 - 2450 MHz) and the 3300 - 3500 MHz band. They do note that for HF use, additional filtering may still be required. On these bands the power amplifier is capable of boosting the power up to a P1 point of 35 dBm on the lower bands down to 26.5 dBm at 3 GHz. The LimeRFE is not yet available for CrowdFundng as it is still in the prototype stages, but they note that the board is close to being finalized. You can sign up to be notified of when the board is ready on the Crowd Supply page. Over on his YouTube channel Adam 9A4QV has uploaded a video that compares a coax notch filter and lumped elements filter band stop for the FM band. Bandstop filters are useful as they can be used to block out extremely strong signals that can overload an SDR dongle (or any radio). A coax notch is a very simple band stop filter that is made from a length of coax cable at 1/4 wavelength of the frequency that you want to block. Just connect the 1/4 wavelength coax with a T-junction connector and you’ll get a notch at the frequency you want to block. A lumped elements filter is one made out of inductors and capacitors. Designing this type of filter generally requires a few more calculations, and ideally simulation. Then building it is a bit more difficult as you either need to buy or make the inductors, and then solder them together. But as Adam shows in the video coax notch filters have a problem in that the notch is not only at the exact frequency that you want to block. Instead there will be multiple odd spaced harmonics of the blocking frequency as well. For example if your desired notch is at 100 MHz, you’ll also get notches at 300 MHz, 500 MHz, 700 MHz and so on. So a coax notch filter still needs to be carefully designed to not block out your frequency of interest. Over on YouTube user ElPaso TubeAmps has uploaded a video showing his tests on our broadcast AM (BCAM) high pass and broadcast FM (BCFM) band stop filters. These two filters are designed to block broadcast radio signals which in some locations can be extremely strong. If they are very strong then they can overload your SDR which causes very poor performance, even on other frequencies. Attenuation – reduce all the strength of ALL signals coming in. 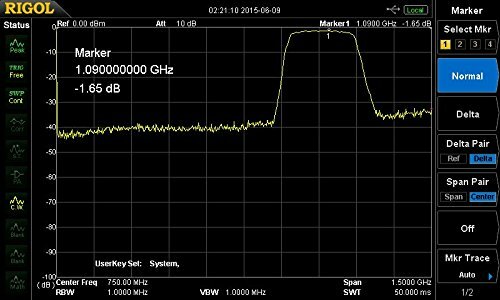 Increase SDR dynamic range – purchase a higher end SDR with more ADC bits as these can handle strong and weak signals coming in together much better. Filtering – reduce the signal strength on the problematic frequencies that are causing overload, or only allow your frequency of interest to pass. Antenna tuning – use a narrowband, directional and/or differently polarized antenna which reduces the unwanted signal’s strength. In the video he uses his signal generator and a spectrum analyzer to analyze the output of the filters. His results closely match our VNA results which are posted on the BCFM and BCAM filter product release posts. Over on YouTube Adam 9A4QV has uploaded a video showing how to build a DIY bandpass filter for 137 MHz. This can help improve the reception of NOAA and Meteor M weather satellites, by blocking strong out of band signals. Adams design is a 132 MHz – 142 MHz Butterworth bandpass filter which gives about 35 dB attenuation outside of the pass band. He’s also posted a write up documenting the filter design on his website. Lucas Teske recently went ahead and built the 137 MHz filter suggested by Adam. Lucas didn’t have the correct capacitor values so he ended up cascading several in series. His results showed that the filter did improve his reception significantly. John, DK9JC N1JJC wanted to set up an RTL-SDR APRS packet iGate. APRS stands for “Amateur Packet Reporting System”, and is a type of packet radio communications system used by Amateur Radio operators. They often use them to transmit short messages, weather sensor updates, and for vehicle tracking. An iGate allows APRS messages to be transmitted over the all world via the internet like so RF->iGate RX->Internet->iGate TX->RF. When trying to receive the APRS packets John discovered a problem. He discovered that there was a very strong 100kW broadcast FM and 50kW DAB transmitter on a transmission tower in line of sight of his antenna. The strong signals were overloading the dongle and completely wiping out the APRS packets that he was trying to receive at 144.8 MHz. 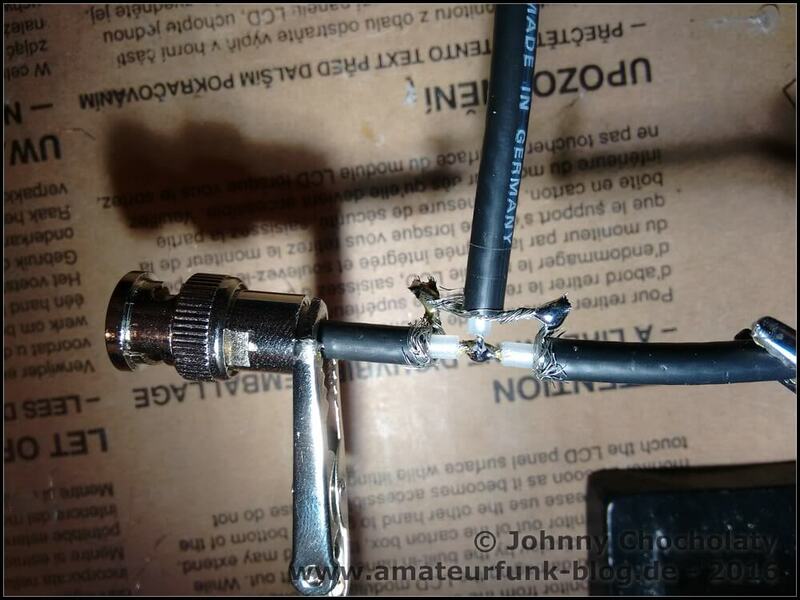 First John tried a simple bandpass filter with 0.8 dB insertion loss and 20dB attenuation. The filter still wasn’t enough, so he went and made a several coax notch filters to take out each of the interfering signals. A coax notch filter is simply a length of coax connected via a “T” junction to the main coax cable. This creates a notch of attenuation at a frequency depending on the length of the notching coax. With these notches combined with the bandpass filter he was finally able to receive APRS packets. Over on YouTube user kugellagers has uploaded a video showing how he designs and builds a 520 kHz high pass filter for his RTL-SDR dongle + upconverter. In the video he explains how to design the filter with the free Elsie software which is an electrical filter design and analysis program. He then shows how he builds and selects the filter inductors and capacitors and how he assembles the components on a PCB. Finally he demonstrates how his 520 kHz high pass filter is useful for filtering out atmospheric noise from lightning strikes. Previously we posted about kugellagers’s other video in which he demonstrates his FM bandstop filter and 1.8 MHz high pass filter.